Outbound IVRs are systems that deliver an interactive communication to the dialed party, and are able to use and update specific customer related information. This is superior to Auto-Dialers, which usually just play a set message. VoiceGuide Outbound IVR Dialer has been designed from the ground up to deliver personalized IVR on the outbound calls. 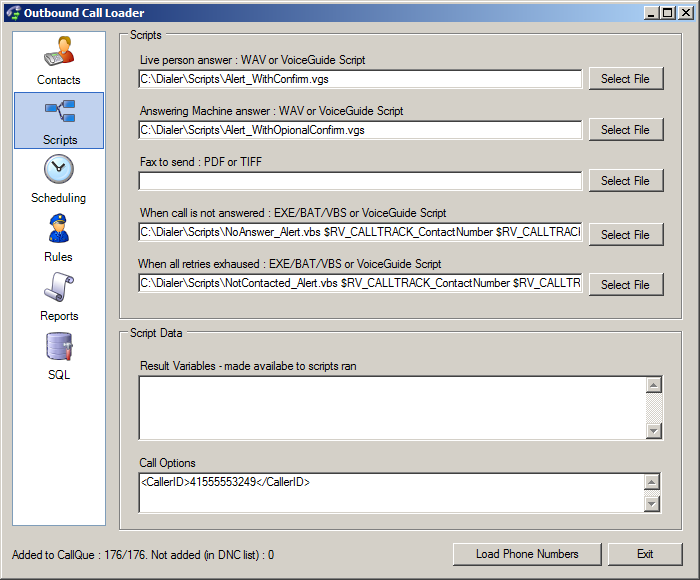 VoiceGuide IVR script can communicate with CRM/Databases/Web Services/etc. during the call and change the interaction's direction based on user responses and retrieved data. Personal information can also be specified on a per-call basis at call load time. Personalizing the communication engages the customer, and has high success in completing a two-way information exchange with the contacted client. VoiceGuide Outbound IVR Dialer can initiate calls automatically in response to an event or an alert originating within the internal business systems and CRMs, or commands issued to it directly through a variety of integration channels. Customer specific data can be provided when the call is queued, or the latest up-to-date information can be retrieved by the IVR Engine during the call from a variety of sources: CRM, Databases, Web Services, etc. VoiceGuide Outbound IVR Dialer solution supports reaching the customer through a variety of channels, including SMS if customer is on a mobile phone, and can initiate visual interactions if contacted customer is using a smartphone. Email channel is also supported.